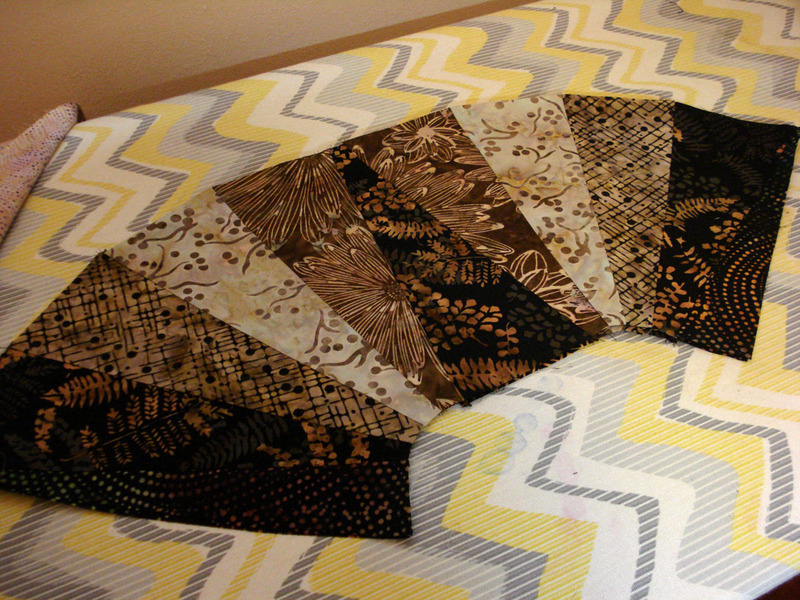 I saw another great quilt tutorial from the Missouri Star Quilt Company, and had to give it a try. 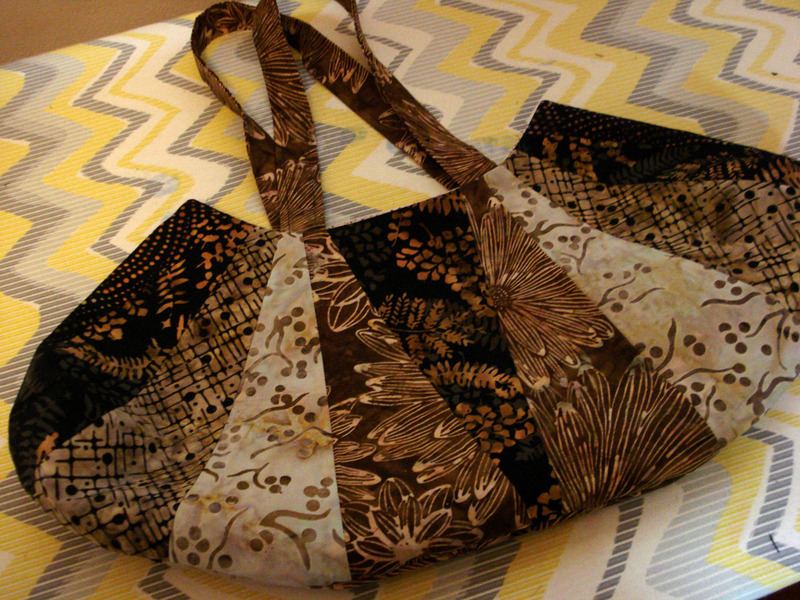 And sewed them together to make the front & back of the bag. There’s always something new to learn, and my “lesson” this time was to use a woven fusible interfacing I had never heard of before. It’s made by Pellon (#SF101 “Shape Flex”). I had never used it before, but it’s excellent for giving a little more weight and strength to a bag or purse. 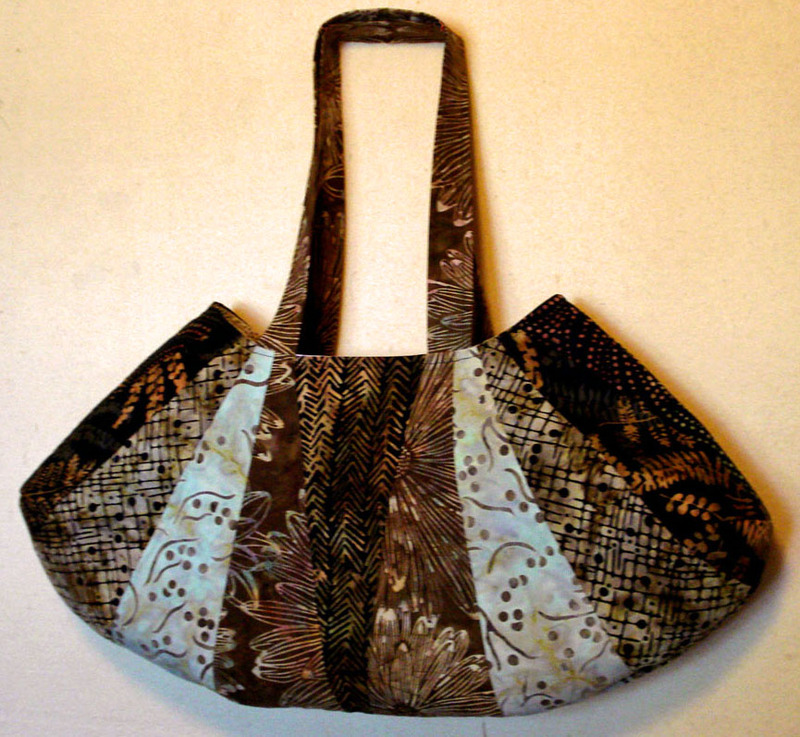 Just fuse it to the wrong side of both the outside and lining of your bag before sewing. 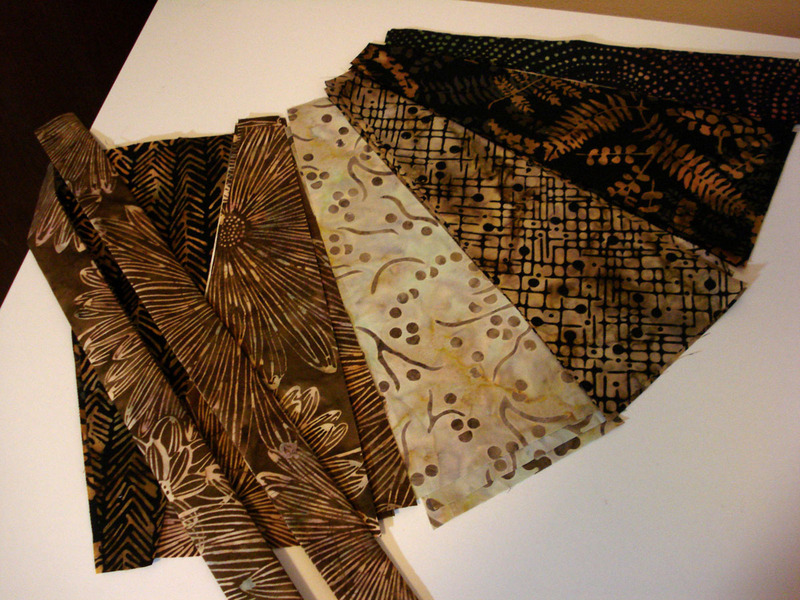 Just enough weight added to the hand of the cotton fabric, without the bulk of batting or a stiff interfacing. You can buy it online from many sources, or check your local JoAnn Fabrics (be sure to bring your coupon! ).